This beer was made following BrewDog’s #PunkAGM2018, which I was unfortunately unable to attend. At the AGM, based in Aberdeen (the company’s hometown), Scotland, many other top UK breweries were showcasing their beer line-ups. Following this, BrewDog teamed-up with the seven other fantastic UK breweries to produce a brand-new beer. I’ve recently sampled ‘Hop City’, which was a collaboration between four breweries and up until this point, it was the beer that had the most contributors… Now ‘Eight-Bit’ has doubled this! “Too many cooks!” I hear you exclaim? This is a reasonable comment to make – there are a lot of big names involved with this beer. Not only that, but each brewery would want to produce a product that they are proud to serve and also ensure that their own stamp is left on this innovative beer. There was the potential for this beer to be too eclectic… I split this beer into two glasses, one poured directly from the can and the second drawn from my ‘Fizzics’system – more information on this post beer review. Looking at this can, it has some similar properties to the standard BrewDog cans: the name, ABV logo and tagline featured are identical in style to those of their other beers. The first difference I notice is that the can is larger than the usual 330ml serving volume. In addition to this, there is neither a colour gradient scaling the can, nor is the beer’s name etched into the background. Instead, the standout feature of the can is the display of the breweries’ brilliant logos, either side of the “EIGHT-BIT” title. Now on to sampling. I removed the chilled can from the fridge and once again admired the breweries involved. The beer poured a hazy golden colour, which was turbid and cloudy in appearance – unsurprising for a NEIPA. Tropical aromas arose from the beer, on which a small white head was produced upon pouring directly from the can. The taste in one word? Beautiful. It started off like a tropical, juicy beer and at this point I had to check the label to see if Verdant Brewing Co. were involved, as it has properties very similar to their beers. Mango, stone fruit and lime punched the palate and the exotic citrus flavours dissipated as a boozy, bitter warmth floods the end of the drink (just enough to make you realise that this is certainly not a sessionable beer)! Each mouthful highlights diverse flavours on the taste buds, making each sip of this smooth, silky beer a different experience. Rating: 8.0/10. Okay, okay I could hardly resist by giving it an “8” given the name and its properties! Real Rating: 4.25/5. ‘Eight-Bit’ actually scores even better than an 8/10. It’s fruity, juicy, hazy and boozy. This brew is the exact reason why I’m drinking NEIPAs. This variety consistently performs exceptionally across the board and I’m glad I’ve got a few of these cans. I’m putting this big beer aside for special occasions. “Turn any beer into the fresh taste of draught”. This is a very bold statement for a company to try and fulfil. I love drinking fresh draught beer in pubs and bars, but with shift work, having to get taxis to-and-from venues and with the business of everyday life, it’s not practical to routinely drink out. Therefore, I’ve taken matters into my own hands. 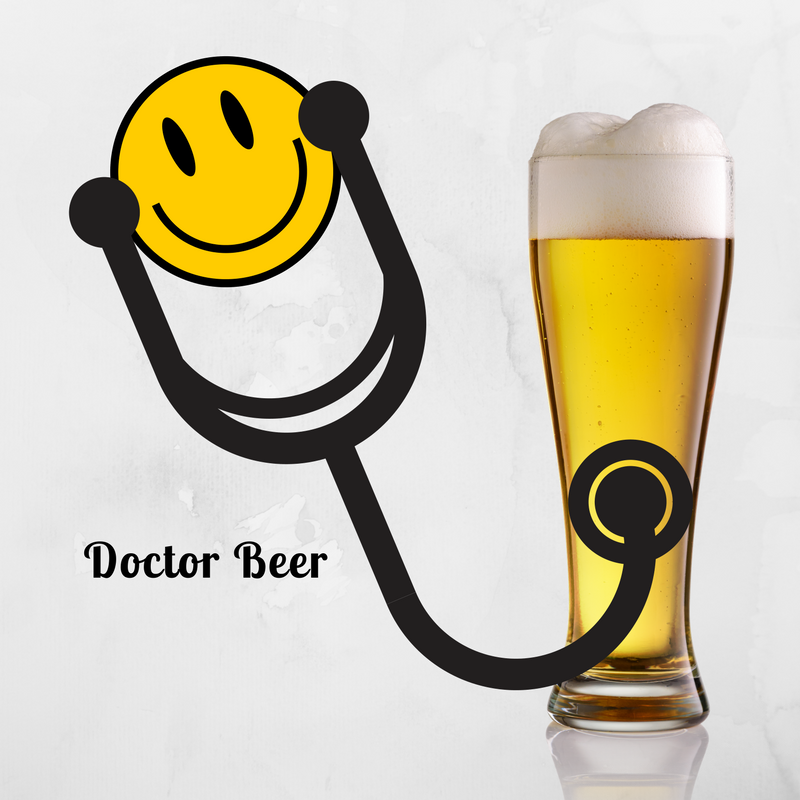 If you can’t bring Dr Beer to the draught, bring the draught to Dr Beer. Over the past couple of years there have been great strides towards making draught beer a possibility at home. In addition to the above, there are many “gadgets” that can be used to try and recreate this drinking experience. One such gadget I decided to try myself: ‘Fizzics Waytap’. This is actually Fizzics’ second product. I backed this a couple of years ago via a ‘Kickstarter’ campaign. The original and ‘Waytap’ versions each have Fizzics’ patented technology engineered into the product, ensuring that the “physics” is consistent. The primary differences between the two is in relation to their size: ‘Waytap’ is marketed as being portable, allowing the user to have draught beer anywhere. The system is powered by four AA batteries, with no need for power outlets, resulting in this being able to be used at barbeques, camping, etc. The device is light too, so it is easy to carry between destinations. In order to produce the draught experience, Fizzics results in a “micro foam™” head on top of your beer. When pouring from bottles or cans, the foam head is usually a short-lived phenomenon that usually dissipates over a couple of minutes, disappearing before you’ve even consumed half of the glass! The Fizzics head is produced using soundwaves in order to agitate the dissolved CO2 in the beer – this prevents the need for gas cartridges and other bulky external equipment that lead to recurring expense. The beer is placed inside the main shaft, which is opened by pressing the aluminium button on the front of the device. Inside there is a thin cylindrical structure which goes into the opening of the beer, allowing both cans and bottles to be used, as long as they fit. The majority of beer vessels up to 500ml fit in smoothly. In this instance, I took the can of ‘Eight-Bit’, having already poured half of it into my “control glass”. The beer started pouring as I pulled the handle of ‘Fizzics Waytap’ down. It filled the glass at a reasonable pace, looking light, airy and producing little noise. Once I knew I was approaching the end of the can (a bit of an estimate and experience coming into play), I then used the patented technology… The handle that was used to do the initial draught pour is returned to the vertical position and then slowly pushed back. Instead of a light hazy-gold liquid being poured, a light white froth was produced on top. It created a substantial volume, which coated the top of the beer. When being placed directly next to the manually poured glass, the differences are undeniable! A couple of residual drops fell from the tap but these were collected onto the antimicrobial drip tray. I removed the can and noticed about 10ml left in the glass, so poured it into the manual glass variant. Now for tasting. I had both glasses side by side to achieve the most direct comparison. The aromas were certainly intensified following the addition of the thick foam head. The beer still tasted fantastic and I could possibly be persuaded that there was a touch more flavour. Fizzics state that their products increase the flavours of the beer poured. This may not be the best example to test as the beer was already SO flavoursome. I can honestly agree that the mouthfeel created was exceptional and quite diverse from that of the other glass. It was creamy, light and aerated, closely resembling the typical textures provided by draught beer. Once done with the device, all that is needed to clean is the flow-through of some lukewarm water and that’s it! Rating: 3.75/5. ‘Fizzics Waytap’ is a good product and if asked the ultimate question of “Does the beer taste better?”, overall I would have to say “yes”! There are a few flaws, but I would be interested in seeing their big brother device, primarily to see how it fares with growlers! If I had realised before purchase, I would have actually bought the larger version, given my love for a growler! This has quickly became my new favourite game. Switch off from life and get enchanted by brewing your own beer, selling to your customers and exploring all the different kinds of beer you can make. Start off in your basement and work yourself towards becoming an industrial brewer! Find out all of my latest beer check-ins here. 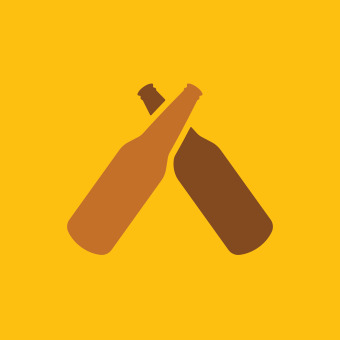 The new, slick web app for all your beer needs! Make your beer look even better with this fantastic piece of light technology, Nanoleaf. Click the picture to get your own panels! This is the app that I use for short, sweet updates on my beer adventures. It’s a great tool that allows you to search for your beer via name or barcode, rate your drinks and comment on them too. Consider it like a twitter for beer and best of all you can see what your friends are drinking! I’ll set up a gallery for all the followers! So let’s see what everyone has been drinking. Please let me know your thoughts – the best pictures and comments will get posted for everyone to enjoy and find out more about them!